Check out this Long Beach Island TV commercial before it airs in the Philadelphia and New York markets. Municipalities, business owners and fellow LBI lovers worked together over the past couple months to bring this commercial to fruition. The media is beginning to turn in our favor, but we still need your help to get the word out. Share this video, tell your friends “LBI is Alive” and come on down for a visit. Summer officially begins in about 50 days and we can’t wait to see you this summer on LBI! Spring is supposed to officially be here, but the temperatures (AND SNOW!) seem to have a different idea. At least it’s not THIS bad. We still have apparel available! T shirts, long sleeve shirts and hoodies are all still available for donations. They are adult unisex sized items and they do not shrink nor fade when washed. Check out this page for more information. Already the proud owner of LBI is Alive apparel? Read below. Send me pictures of you, your kids/parents, friends, or whoever representing their LBI pride. You can email your pictures to me at LBIisAlive@gmail.com. Let me know where you are from so I can add that to the caption. Bonus points if you take a picture at a famous landmark. Here is the page so far, but I would really appreciate some more pictures to add to it! On a more serious note: Easements. I know this is a touchy subject. I have tried to just create a page with facts and general information. I am just compiling information into one place so it is easier to read the facts. We are all in this together, we all need to work together, we are all LBI lovers; we need to keep LBI alive as long as we can. Check out this page for information on the easements. Remember May 1st is the deadline. That is more than normally open for March. These businesses have been through a lot, be sure to shop/eat local when you are down here. The family owned businesses need it more this summer than ever. They have opened early to show they survived Sandy and can’t wait to see you all this summer! Check the continually updated list here. Also, if you are an open business and not on that list, email me at LBIisAlive@gmail.com, I try to update all those I see open as I drive around, but I am sure I don’t have you all listed. 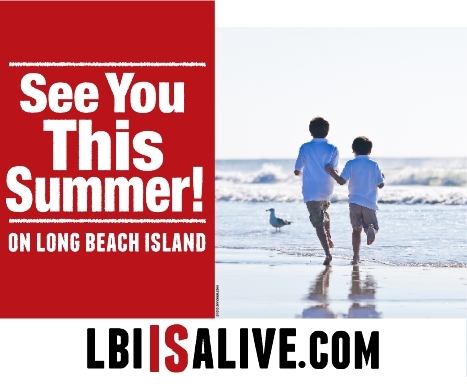 If you are not already, follow us on Twitter, like our Facebook, and subscribe to this website (the “follow” box at the bottom of the next column) to stay up to date on LBI for the Summer of 2013. This Friday will definitely be a blast. 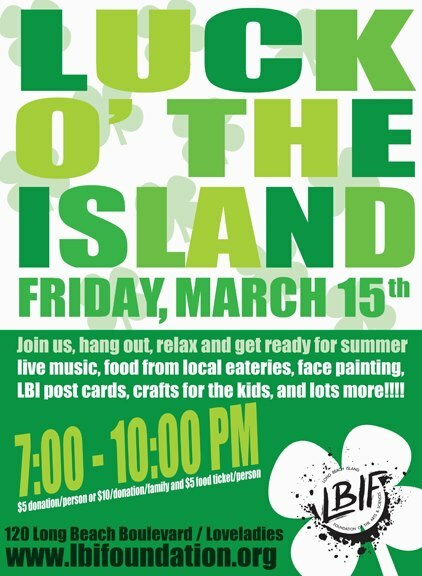 Join us, LBI is Alive, and many other businesses for the Luck of the Island party and celebrate the Island, Spring and St. Patrick’s Day; March 15th from 7- 10 PM at the LBI Foundation of the Arts! They ask for a $5 donation/person or $10/family and then $5 for a food ticket. There will be two bands; food from over 10 local establishments (BYOB); activities for the kids from Fantasy Island, Just Bead It and Viking Village; Freckles the Clown will be there doing face painting; LBI themed post cards will be available to send to family and friends; door prizes from Red Chair and Song of the Sea will be available; you can sign up for the Shamrocks for Sandy run; AAAANNND we will have apparel available for donations. We are very appreciative of Amy Williams, President of ALO, for inviting us to this event to continue our fundraising efforts. This will be a great community event for LBI, you can’t keep an Islander down, especially ones trying to make the Island a better place. It has been great to see community members pull together and support each other these past few months. I am proud to say I am an Island girl, forever and always! Hey, we are bummed! So looking forward to the Fundraiser at Nardi’s this Friday Night. But, someone filed a complaint with the ABC Board and after their visit to LBI it was decided it is in the best interest for all to cancel this event. However, why waste a perfectly good Friday Happy Hour? We ask you to still join us at Nardi’s this Friday. We have all worked hard these past few months and deserve an evening of fun and friendship. Nardi’s will have Happy Hour from 6pm to 9pm and you will still get to hang out with LBI is Alive, video mogul – Jimmy Ward and the many other community members who have helped LBI get back on its feet. 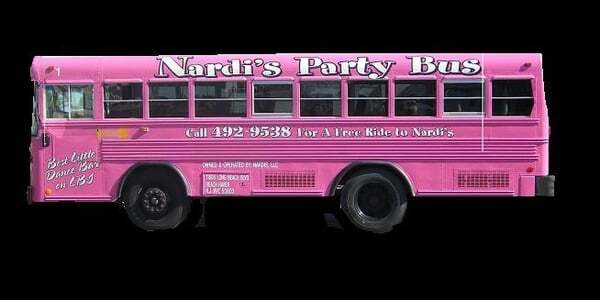 So share a good time, bring everyone you can and let’s Parti at Nardi’s. Parti with Nardi’s…and LBI is Alive! 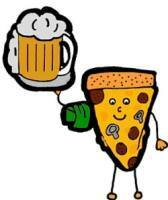 Come by Nardi’s Tavern and Grille on March 8th from 6-9pm and ‘parti’ with LBI is Alive. We will have more apparel available for donations, a 50/50 raffle AND a raffle for an oceanfront Islamorada Vacation for November 2nd-9th 2013. We will be re-stocked with apparel for this event after our stock out at the BHFH on the 16th. The raffle for an Islamorada Getaway is our newest addition to the LBI is Alive fundraising arsenal; the drawing will be held on June 15th at Thank You Fest: need not be present to win. The oceanfront home is in a gated community with restaurants within walking distance. Check out the HomeAway link and these virtual tours (here and here) to see the house for yourself. This vacation raffle is a great deal at $25/ticket or 5 for $100 and all proceeds from the vacation raffle go towards helping those still in need on LBI. The 50/50 and apparel donations go towards LBI is Alive’s advertising and promotional budget to get the word out to North Jersey, Philly, and NYC through media outlets that the LBI community is Alive and Well and Can’t Wait to See You This Summer! There will be a $20 cover charge to get in and ALL YOU CAN EAT PIZZA AND BEER. Let’s be honest, how could this be a bad deal? We are working on a wristband system so those under 21 can come and hang while being safe and legal. Jimmy Ward will be there as well as some members from Jetty. This event will not only be a fundraiser, but a thank you to those who have helped LBI in its epic comeback. It sure has been one whirlwind of a week. Before we even received our apparel order from Jetty, I had orders waiting. We sold out at the Beach Haven Firehouse Turkey Dinner. After we sold out, we had half of our next shipment preordered. We are so thankful for all the support! And super thankful to the Firehouse for allowing us to be there with the LBI is Alive apparel. Since the Dinner I have been organizing and finalizing orders for next weekend’s impending shipment. However, please flood my inbox with more orders; I would love nothing more than selling out this shipment by the end of the month. My two most exciting emails came from an island transplant in California and a woman planning a family reunion. The Californian may be my farthest shipment, but the family reunion was my largest: 21 T shirts! For more information on the apparel check out this page. We sent out 100 press releases last week to let the press know that LBI IS ALIVE and they need to help get the positive word out! So far we have seen two fantastic articles come from these releases and many reporters have contacted us for stories to be published in the future. Oh and Jimmy gave about 3 interviews at the Firehouse. In the first article, Robin Rieger came down to LBI February 18th to a local real estate company and ran into a family looking for a rental while doing her article. The father said, “We really expected to come down and see nothing like this…I expected to see houses down and stuff, and it’s nowhere near what I thought. Everything is clean, wide open.” Happily surprised is just what we are looking for, these comments just further show that what we are doing is truly helping the perception. The second article written by Steven Lerner, gives a brief synopsis of our campaign and reiterates that everyone must do their part to get the word out that we are alive and well. We hope that there will be at least 5 more articles to be published after speaking with out of area reporters. We can’t wait to see the articles from Jimmy’s interviews! One reporter who interviewed him works in New York at 1010 Radio, which is precisely the target market we are trying to reach. We are finalizing the details of a fundraiser to be held at Nardi’s on Friday March 8th from 6-9pm.We will have more apparel available for donations, a 50/50 raffle AND a raffle for an oceanfront Islamorada Vacation in November. There will be a $20 cover charge and then all you can eat pizza and beer. How can you go wrong? We are still working out the details for the under 21-ers. More details will be coming later this week. Stay Tuned!